Asha was chained up and left to starve. GEORGE NEWS - We named him Asha. It's a Hindi word that means hope. These were the words of senior SPCA inspector, Salomé Bruyns, after the death of an emaciated pit bull terrier they rescued last Friday. Asha couldn't be saved. He had to be put to sleep later that day due to extensive damage to his organs. "The vet deemed his organs too damaged to keep him alive and he would have suffered even more. He was held by loving hands as he was put to sleep so he had at least one short happy moment," said Garden Route SPCA's Wendy Jones. According to Jones, the trainee SPCA inspector Andrea Auerbach was called to New Dawn Park in Pacaltsdorp about a dying dog on Friday morning, 30 November. On arrival she found a crowd gathered around the yard in question. 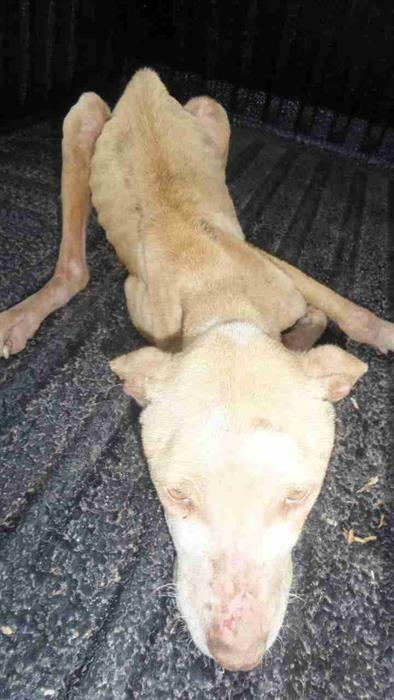 "The woman who called the SPCA said that the extremely emaciated, chained pit bull lying on the ground belonged to her son who works in Cape Town and periodically comes to visit. She herself had been away for two months and when questioned said that she had asked no one to feed the dog while she was away," said Jones. What Auerbach found most shocking was that a well-fed, plump dog with scars that could be the result of fighting, was chained up in the same yard, merely a metre away. "The person that fed the other dog regularly walked right past this starving dog to feed the other one," said Auerbach. 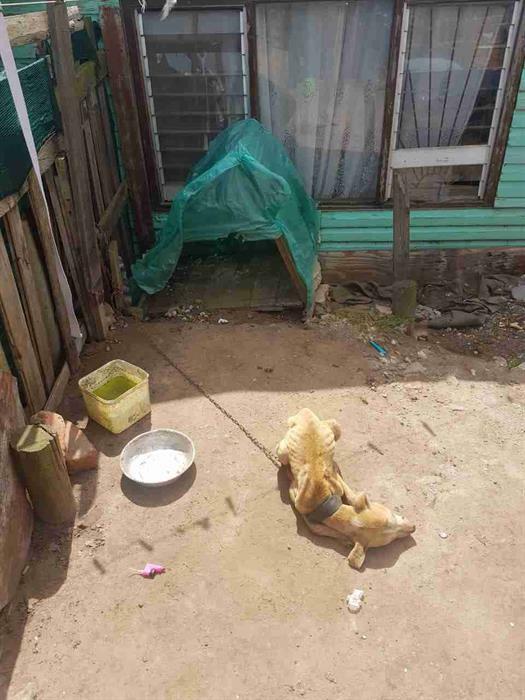 The Pacaltsdorp police communications officer, Sgt Shadelle Fisher, confirmed that a case of animal cruelty was opened by the SPCA on Tuesday morning. By the time of going to print no arrests had been made. The George Herald will be following up on this and other cases of this nature. According to Bruyns two other, similar cases have been opened at the Pacaltsdorp police station, one dating back to 2016 and another from last year. "Charges were laid, but we have not yet received any feedback as to their progress." 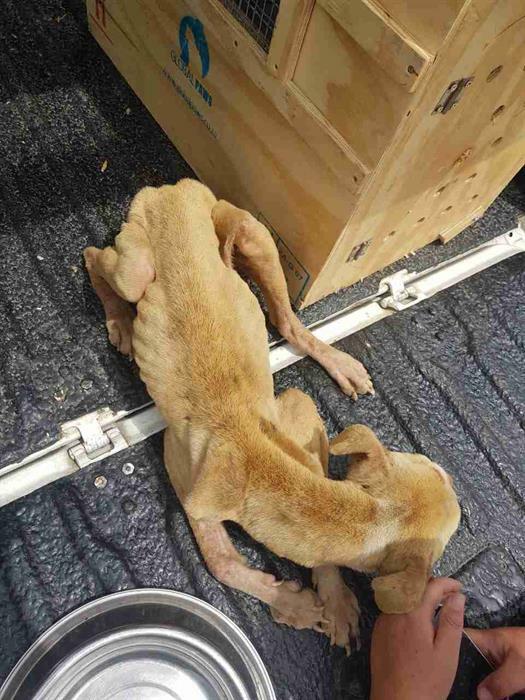 An emaciated Asha barely had enough energy to stand when he was rescued by SPCA trainee inspector, Andrea Auerbach.